Nothing is more special than gathering together for something we all love. 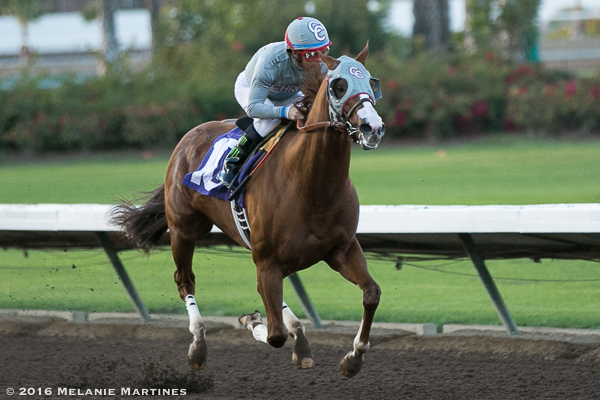 California Chrome has been a spectacle for his loyal followers who have watched his every move. 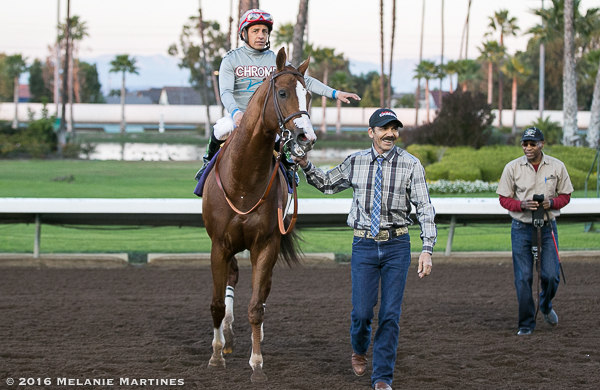 Last Saturday was a bittersweet day for more than 5,000 race fans as they gathered at Los Alamitos Race Course to to bid farewell to California Chrome in his final start in California. The Winter Challenge, was a race that was specifically created for Chrome and would serve as a prep race for the upcoming $12 million Pegasus World Cup at Gulfstream Park on January 28, 2017. 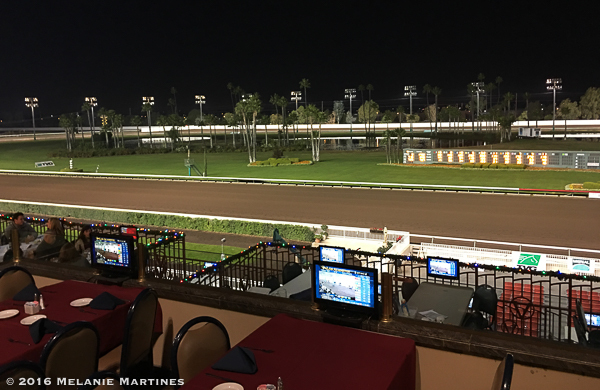 The track did a great job to entice horses to run against the champ, and managed to attract a full field with a structure that guaranteed any horse that finished the race $10,000. 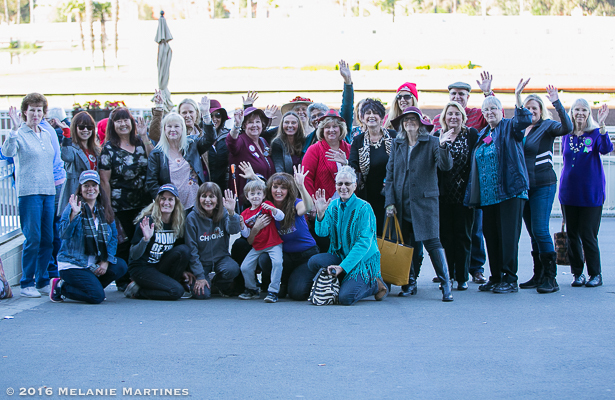 He had never raced at his home-base of Los Alamitos, so this would be a very memorable day for both the track and his loyal followers that call themselves, the Chromies! 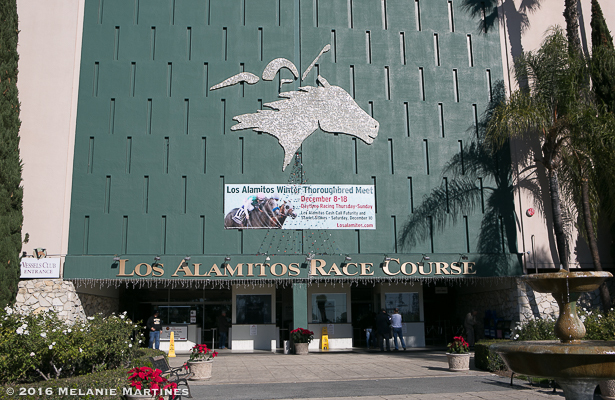 So glad to be back at Los Alamitos, the hospitality is always appreciated, and the staff at the track make you feel right at home. As a full fledge Chromie, I was very excited for the day! View of the race track from the press box. 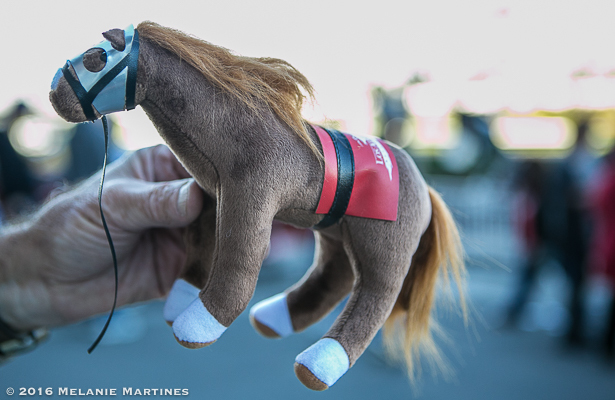 Snuggled away at Barn 21, Los Alamitos Race Course has been the home to California Chrome since early in his 3-year-old season. The Chromies share something special ... 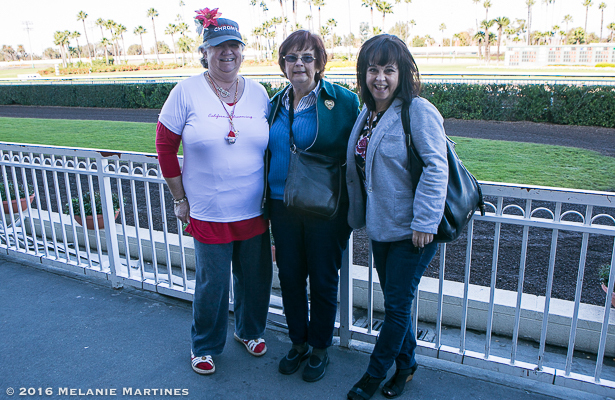 The love for their hero, California Chrome. From across the world; they unite and have such a wonderful bond. 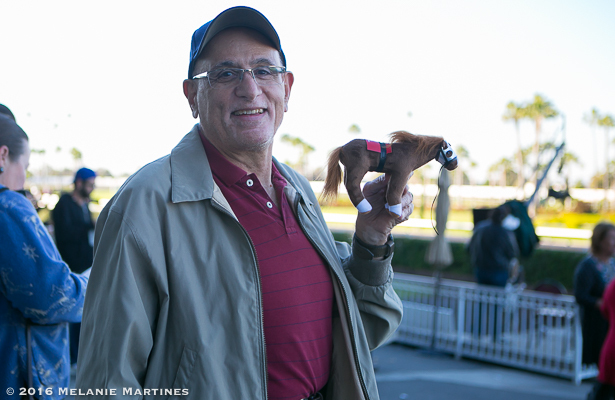 Alan Lombardi, from Huntington Beach, brought his lucky charm, Lil' Chrome to the track. 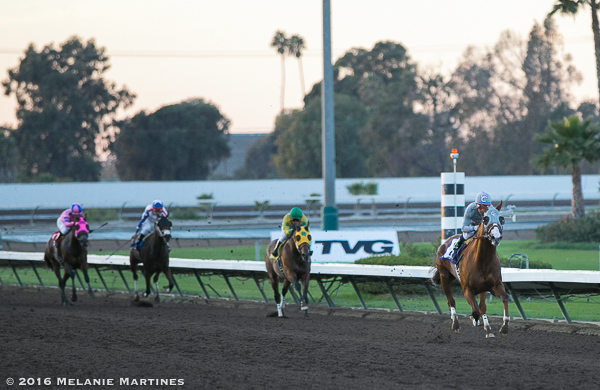 Two-year-old fillies graced the track in Race 2. 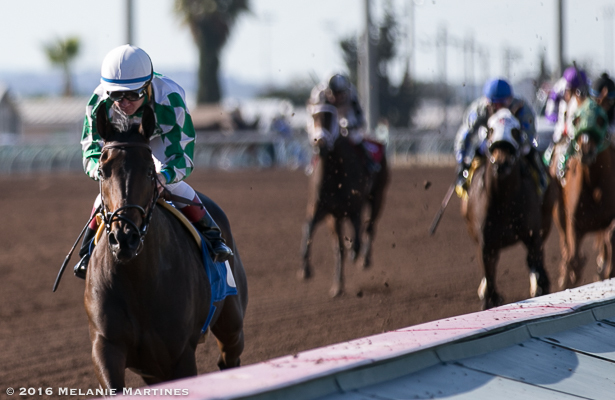 Trainer Jerry Hollendorfer trainee, Sircat Sally and jockey Drayden Van Dyke easily wins the 5th running of The Soviet Problem Stakes by open lengths. 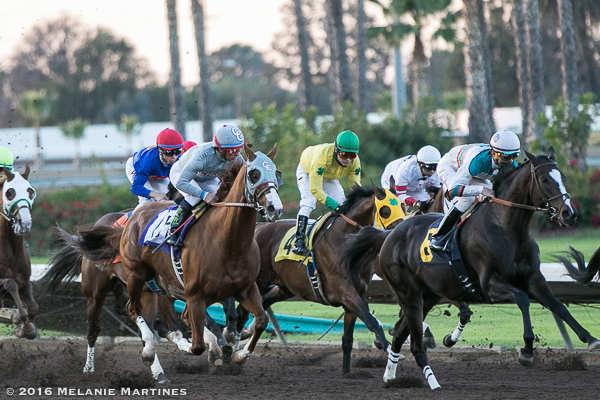 You could feel the energy in the air as it got closer to Race 9. 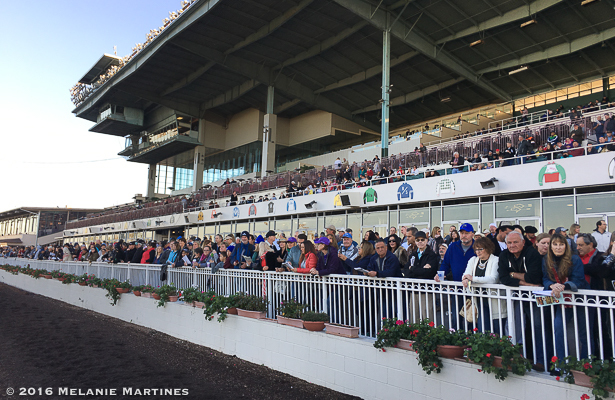 Fans started lining up along the rail hoping to get a glimpse of California Chrome in the Winter Challenge. 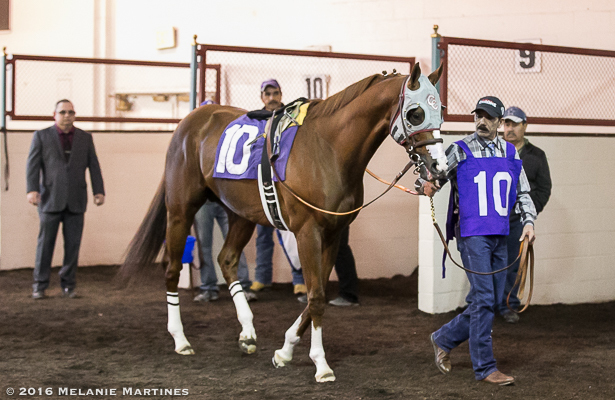 Assistant Trainer Alan Sherman (far left) looks at California Chrome as he walks in the Paddock Area. 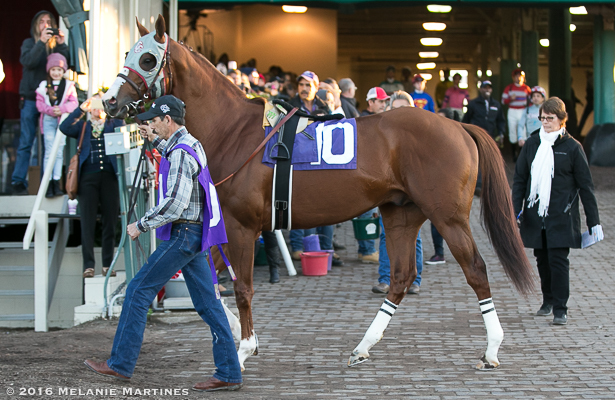 You could feel and hear the energy of the crowd as California Chrome entered into the walking ring. It was an amazing feeling to see his fans cheer him on. 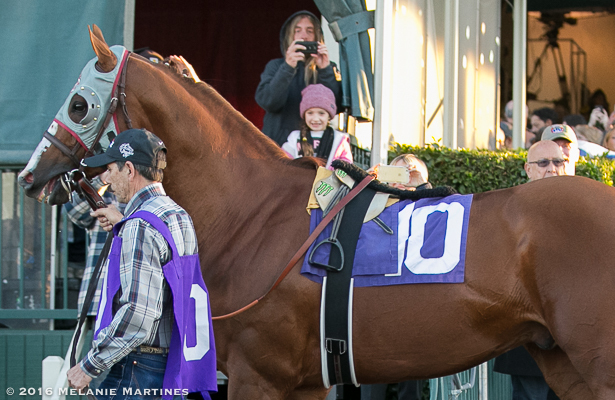 A little girl has an exciting look on her face as California Chrome passes by her. The field for the Winter Challenge enters the track. 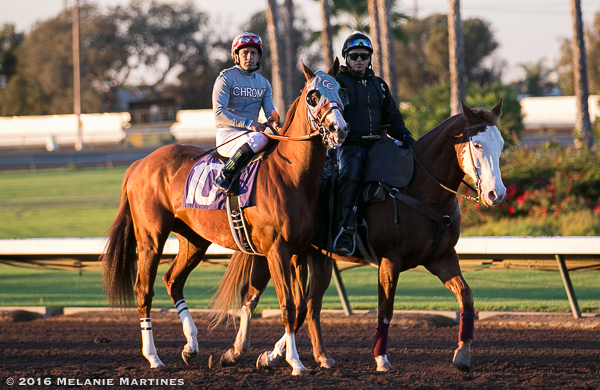 California Chrome walks into the golden sunset during the post parade. California Chrome has his eye on the camera as he walks by me. 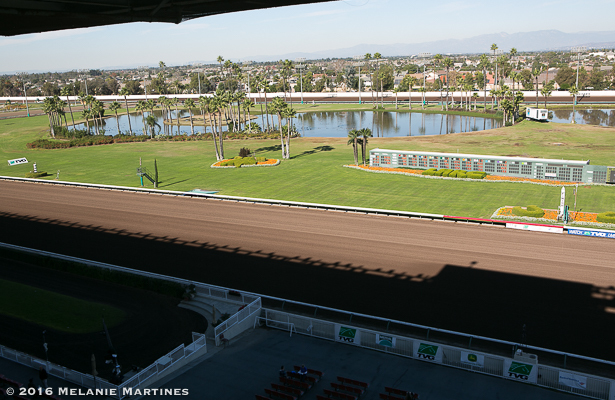 The field in the Winter Challenge runs by the grandstands for the first time. 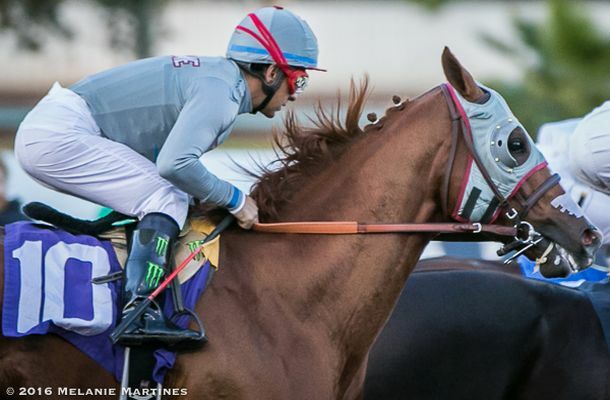 California Chrome out of post 10 will go wide the entire way. Up close as Chrome runs by the grandstand. 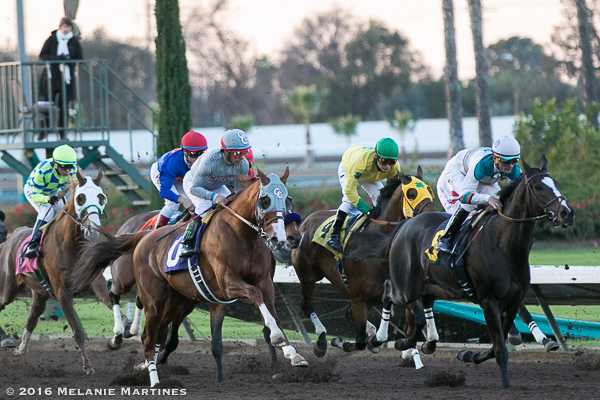 Chrome swung out very wide in the clubhouse turn. Down the stretch they drew off as easily as possible, while never being asked. Turning for home, the magical duo easily separates themselves from the field. The mile went in 1:34.09 and the final time broke the track record by almost 4/5 of a second. 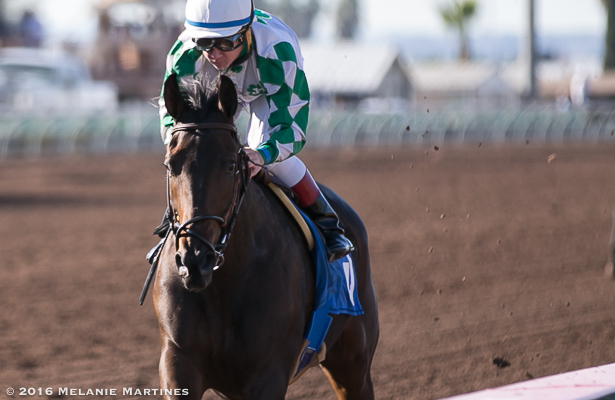 Ironically, the old record was set by Uncle Lino in the California Chrome Stakes back in April. 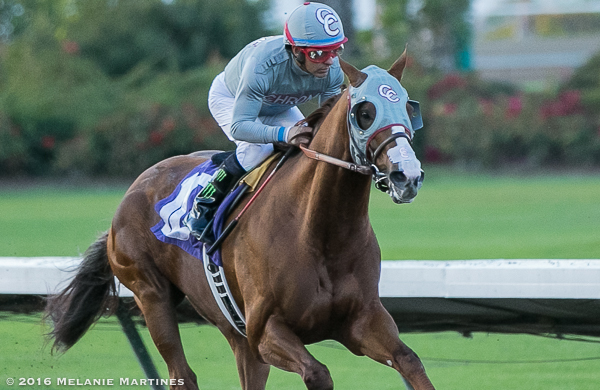 California Chrome holds the highest earnings record in North America with earnings of $14,502,650, having surpassed Curlin earlier this year. 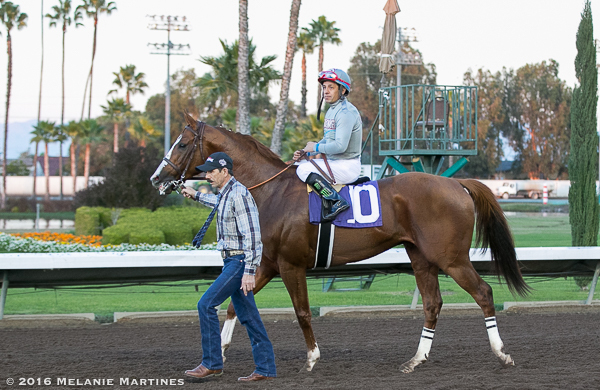 After the race in the Winner's Circle, the crowd chanted his name... Chrome! Chrome! Chrome! It was a great moment for the fans as they showed their love for this home-town hero. 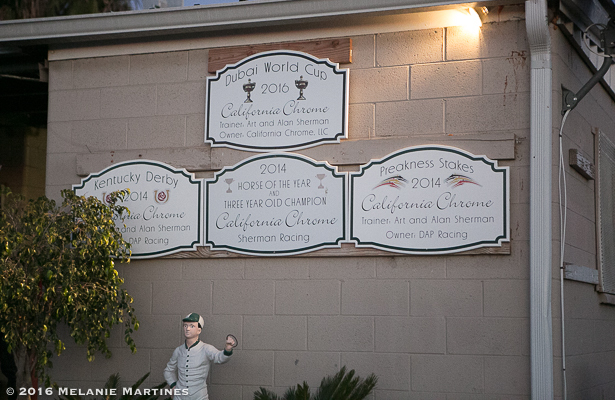 Next stop for California Chrome is the Pegasus World Cup. 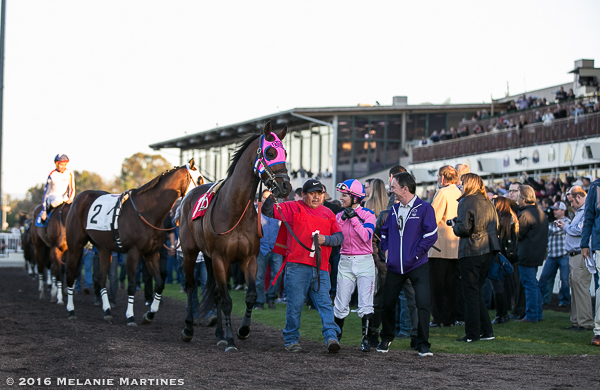 The race now carries the highest purse in the world of horse racing with a whooping $12,000,000! 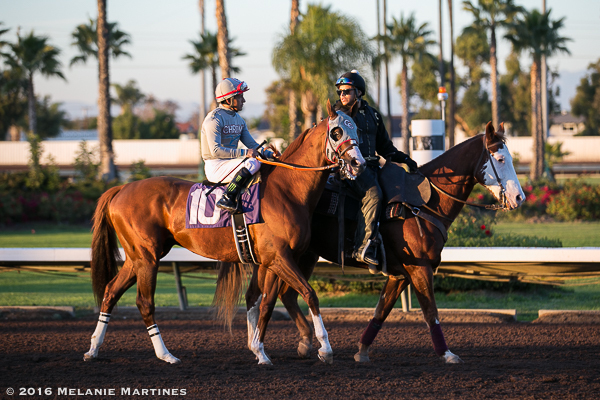 Chrome currently ranks #6 in the world behind only Japanese horses who hold the all time leading earning spots. The winner of the Pegasus World Cup will take home the biggest payday in thoroughbred racing history of $7,000,000 just for winning the race. 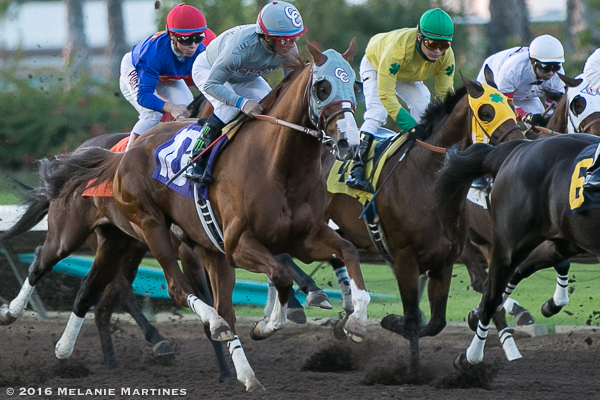 If Chrome wins, he'll go down in history capturing the #1 spot in the world! 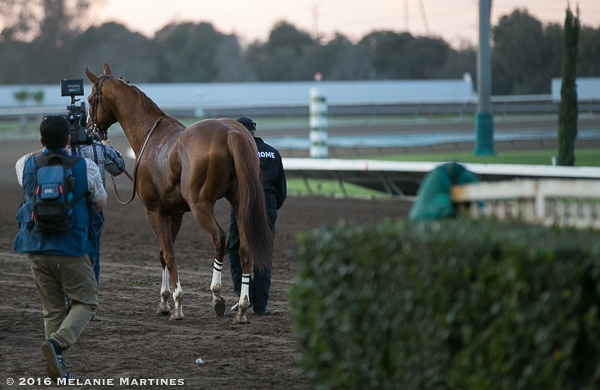 As Chrome walked back to the barn area, I paused and watched him walk away. Just knowing that this was the last time he would race in California made me really sad. He's brought so much excitement to the area and will definitely be missed. There's such a charismatic appeal about his presence that you can't help but fall in love with him. 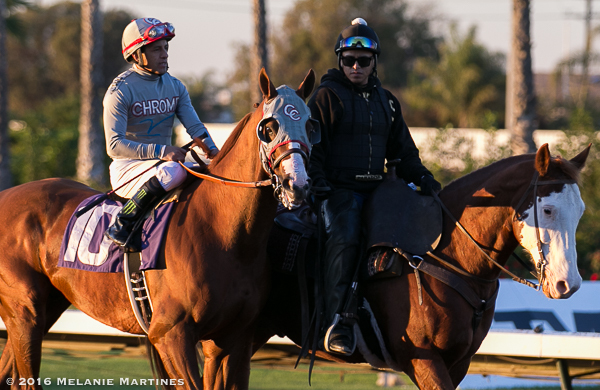 There are still more adventures ahead for Chrome, and I'm wishing his connections all the best in the Pegasus World Cup. Sadly, this will be Chrome's last race before he retires to stud at Taylor Made Stallions in Kentucky. After a wonderful day of of races mixed with sadness, a friend and I decided to stick around for quarter horse racing. I have never been, and was very excited. It was a very cold night, so we decided to go up to the Vessels Club at at the track where there were warm heaters. 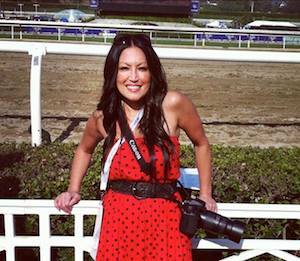 The combination of good food, drinks and horse racing was a perfect trifecta! What an awesome view! 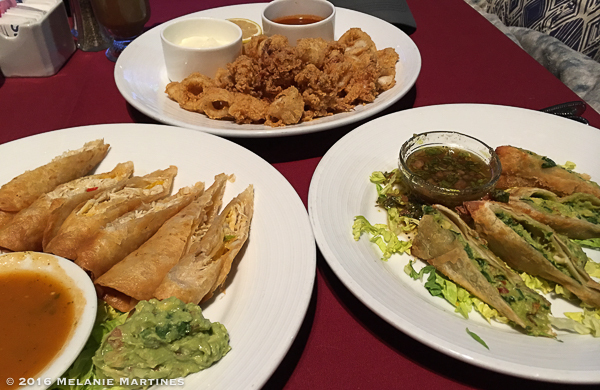 We opted for appetizers instead of a dinner at the Vessels Club and it was delicious! When in Rome ... 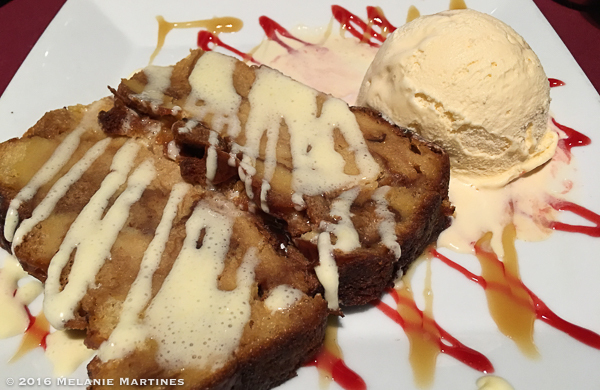 I couldn't resist the bread pudding! What a wonderful way to end the night! 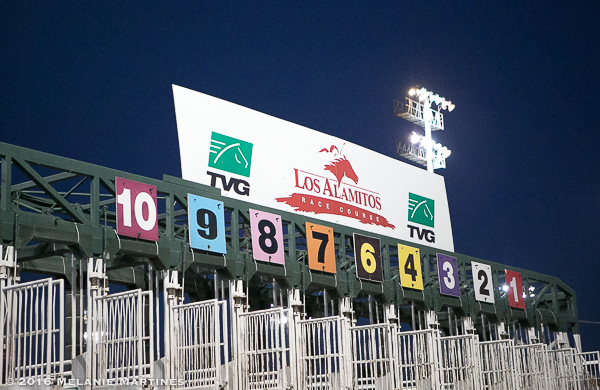 Thank you Los Alamitos for creating the Winter Challenge, and allowing the people of Orange County to say one last farewell to our champion California Chrome!